The word Trinity is not found explicitly in the Bible. 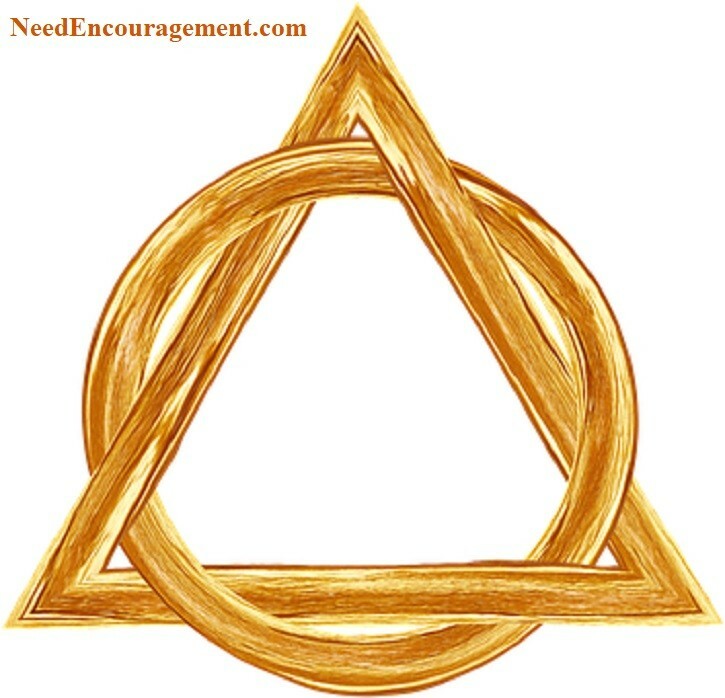 It is a term used to describe the Triune God the Father, His Son Jesus, and the Holy Spirit. Here are some encouraging scriptures about the Trinity. Jesus Saves Thru The Trinity! Because we have sinned against an infinite God, either we must pay for our sins for an infinite amount of time, or an infinite person (Jesus) must pay for our sins at one time. There is no other option. The Lord saves us by dying in our place. In the person of Jesus Christ, God sacrificed Himself on our behalf. Paying the infinite and eternal penalty only He could pay 2 Corinthians 5:21; 1 John 2:2. Jesus took the punishment that we deserve to save us from a horrible eternal destiny, the just result of our sin. Because of His great love for us, The Lord laid down His life. Paying the penalty that we had earned, but could not pay. Jesus was then resurrected, demonstrating that His death was indeed enough to pay the penalty for our sins. Billy Graham Shares How Jesus Saves In The Trinity! What Does The Term: “Jesus Saves” Mean? It is sad that only a few who see the phrase “Jesus saves” truly and fully understand what it means. It says in the Bible that Jesus saves, but many people still ask, does Jesus save everyone? Don’t take the chance if you even doubt at all in your mind at all, call this number 1-800-633-3446 and talk to someone who can answer any of your questions. A Lighthearted But Wonderful Look At Jesus And His Coming! This is so refreshing ……. Billy Graham Talks About When Jesus Saves! Jesus Saves By Religion Or Relationship With God? Religion is a set of man’s rules on how to get into heaven and how to be a “good person.” A relationship with God is the knowing who God is, and what His will for you is? A real Christian understands that God’s grace is a gift that we do not have to earn, it is something given that we need to accept. We never think that our good deeds would ever be enough. It took a living sacrifice or Jesus Christ to make us right with God. A relationship with God is what God wants, or why would Jesus have to die on the cross for your sins?